They say that “haste makes waste,” and when it comes to outsourcing a community’s solid waste management department, it is not a decision that should be made lightly. Privatization is a complicated process, and it is not the answer for every municipality. According to a 2008 presentation by the Great Lakes Training Institute, there are a number of reasons why communities see privatization as a logical solution to their waste management needs. Outsourcing one’s trash removal can save the government money in terms of personnel and equipment while offering the same level of high-quality services that residents have come to expect. In some cases, it might even be necessary if the government lacks the expertise or workforce necessary to execute the department properly, and above all, privatization can provide a community with innovative approaches and techniques that the government may not be able to. While privatization can dissolve any unnecessary monopolies, be more effective and flexible than existing services, slow the growth of government and encourage competition between providers, it can also lead to significant rate increases, diminished accountability for officials, compromised services due to the provider’s profit motivation and lower morale for municipal workers with an increased fear of layoffs and displacement. It all depends on what a community wants and what is the best for everyone involved. When the city of Stillwater, Okla., considered privatization in 2012, it prepared a request for proposals for contractors to bid on; however, the city also allowed its existing department to submit a proposal as well in order to see how it would stack up to the competition. While there was hope that the implied cost savings would justify outsourcing trash removal to a private contractor, ultimately officials decided to keep the city’s trash removal in house and under the control of the local government. Chris Knight, waste management director and safety manager for the city of Stillwater, said when the trash service is internal, the powers that be are able to take care of any issue citizens may call about. When a private company handles the service, they don’t have as much control when issues arise. These were the same issues that the city of Bloomington, Ill., faced when it drafted a privatization plan in January. 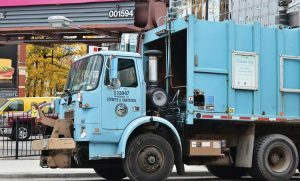 The city council was looking for ways in which to close a $2.9 million budget deficit for the 2019 fiscal year and thought outsourcing waste management may be the way to go. After exploring its options, the city council voted down the move the following month. “There were examples of other communities that led us to believe there are times when a vendor will come in and get the contract, but the next time there is a contract to negotiate, the price goes up significantly. Then the municipality does not have a choice because it has gotten rid of its equipment,” said Jim Karch, PE, MPA, director of public works. While this is not always the case, it can be enough of a liability to convince communities to reconsider their privatization plans. Another factor may be the community response, which can be for or against privatization depending on how much fees may be lowered and whether or not there are union workers who may be affected by it. Karch said when the city council considered privatization, there were mixed feelings and strong emotions on both sides of the issue. While some people were keen to save money by contracting to a private company, others loved the service provided by city workers. “They do an amazing job of customer service, and I think that is ultimately what swayed the decision by the elected officials. We have had workers of ours go viral with the positive interactions that they have had with citizens,” he said. These employees are ones who are represented by the American Federation of State, County and Municipal Employees, which was very vocal in its opposition to the idea of privatization. Its website is full of information about the dangers of privatization and encouraging taxpayers to be aware of what may be at stake when gambling with a contracted entity. Is privatization ever a good idea? Knight said it is very important for communities to do their homework when it comes to privatization. Even when some cities think that their programs are more trouble than they are worth, he can’t guarantee that the headache will go away if they choose a private hauler for its service. While a company may promise to take on all of the city employees in order to ensure that they aren’t out of a job, there may be fine print in the proposal that says all employees must meet the company’s hiring requirements, meaning that some employees might still face the unemployment line. “The reality is that most privates work bare bones and don’t want to take on the cost of your employees,” he said. Outsourcing one’s waste management is not a one-size-fits-all discussion. 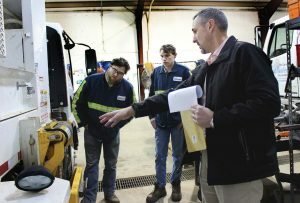 A smaller community without the budget for a waste management team may find that outsourcing is the way to go. Others may choose to use their own team for waste management and contract out recycling services.